The field of interventional nephrology needs to be viewed as a new road towards improving the diagnostic methods and the dialysis access care provided to chronic kidney disease patients across the world. The above issues remain a weak link in the training of young nephrologists and a major hurdle both in the planning and maintenance phase of renal replacement therapy, as well as in the accuracy and safety of diagnosing renal impairment causation. Traditionally, the procedural aspect of care has been left in many cases to surgeons and/or radiologists. The above facts lead in many cases to patient inconvenience and high health care cost. The aim of this book is not only learning the necessary skills to perform renal medical procedures, but for nephrologists to assume leadership roles in coordinating a team to provide the best possible care. Mostly, this book is focused on details and “secrets” that can make the results better than we expect. Introducing renal physicians to the insertion of tunneled lines, medical insertion of peritoneal catheters and kidney biopsies (native and transplant) from the nephrologist’s view is a great need in renal society. 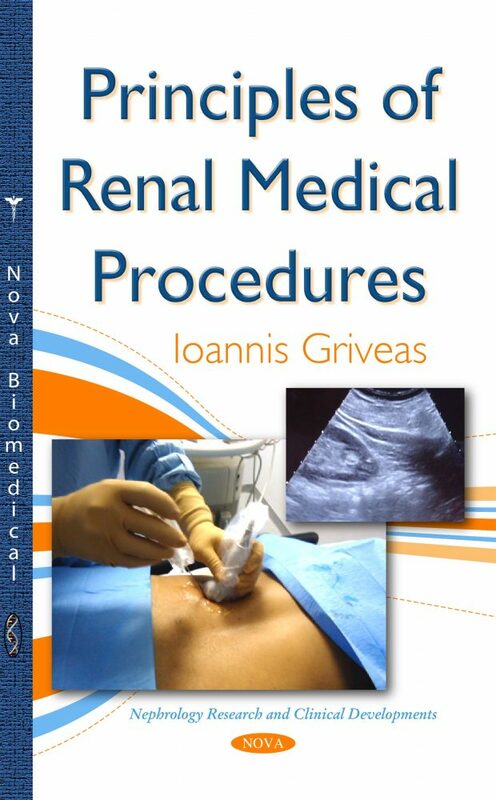 The primary focus of this book is to generate interest and awareness of the scope of interventional nephrology. The nephrology community across the world needs to evaluate the available resources to discuss the role of various team members and strive to improve patient care. Editors’ and authors experiences are exposed in the book, which tends to help the growth and progress of this subspecialty. The trend is also seen as a recruiting tool to train the nephrology workforce in the future. Audience: Registrars in Nephrology or Radiology, Nephrologists, Nurses, Health professionals with major interest in Interventional Nephrology. Interventional nephrology has many aspects of interest: clinical research , basic science and patient care. Core procedures in nephrology have major impact in diagnosis and therapeutic options and if a nephrologist is well trained , can make his and his units’performance significant better.